BANGKOK, Thailand Sept 11 (NNN-Bernama) A forum to discuss whether Myanmar’s top generals should be hauled up for prosecution for their alleged war crimes has been abruptly shuttered by the Thai authorities last night. The authorities did not give any explanation for the cancellation, which happened just minutes before the forum organised by the Foreign Correspondent Club of Thailand (FCCT) was to kick start at 7pm (local time). According to a FCCT staff, the authorities called the club at about 5pm (local time) asking her to cancel the programme but the organiser refused to budge. 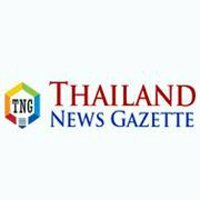 A number of Thai policemen in uniform and plain clothes arrived at the club just before the forum was to begin and forcefully stopped the controversial programme from proceeding as scheduled, she said. The forum titled Will Myanmar’s General Ever Face Justice For International Crimes, would put a spotlight on the country’s top generals including commander-in-chief Gen Min Aung Hlaing for the alleged genocide and war crimes committed in northern Rakhine, Kachin and Shan states. Calls for their prosecution have grew louder following the release of a hard-hitting report by the United Nations Independent International Fact-Finding Mission on Myanmar (FFM) released on Aug 27 which called for prosecution. The FFM’s full report will be presented to the UN Human Rights Council on this Sept 18. Last night’s forum have lined up three panellists, including Kobsak Chutikul, a former Thai ambassador who earlier this year had resigned as the senior consultant of Myanmar’s international advisory panel on the Rohingya crisis. The other two panellists were Rohingya activist Tun Khin, who is also the president of Burmese Rohingya Organisation United Kingdom, and senior international legal adviser at the International Commission of Jurist, Kingsley Abbot. Despite the allegations of genocide and war crime especially against Myanmar’s Rohingya community and other ethnic minorities in the country, Thailand’s military government maintained a good diplomatic relations with the Yangon government. In February this year, Bangkok honoured the visiting Aung Hlaing with a royal award, an act which was swiftly condemned by human right organisations.